Spartacus was a gladiator who along with a few other people, escaped the slave leaders in the Third Servile War. It was said that Spartacus was born a Thracian by birth who once served alongside Roman soldiers. But since then, was taken as prisoner and sold as a gladiator. Catch Spartacus in action on Spartacus Call to Arms slot at Moon Games Casino! Enjoy this 5-reel and 50 payline slot, which gives you a magnificent view of the Coliseum. Form winning combinations on the reels with symbols like; gladiators, bronze masks, silver masks, gold masks, shields, swords and gold coins. Before you start spinning the reels, all you must do is place your bets on the Bet Field. Your aim in the game is to form winning combinations from the leftmost side to the rightmost side of the slot grid. The Autoplay option also allows you to play the game without having to intervene. Amount of Paylines Selection: All pay-lines are fixed. Coin Values: Set your stakes from the lowest amount of £0.25 to the highest amount of £100.00. Above the main slot grid, there is another set of reels on top. They have only four symbols landing on them, which change on every spin. The bonus symbol does not appear on the reels. When wilds land on the grid, it transfers to another position. Matching two or more of these symbols may award you with multipliers of 500x your stake. Match 2 to get a 2x multiplier value. Match 3 to get a 3x multiplier value. Match 4 to get a 5x multiplier value. Match 5 to get a 10x multiplier value. Match 6 to get a 30x multiplier value. Match 7 to get a 50x multiplier value. Match 8 to get a 500x multiplier value. 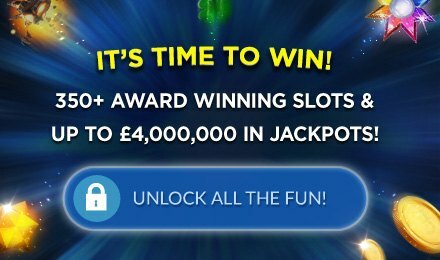 When the bonus symbol lands on odd reels at the same time, grab awards of 2x your stake and 10 free spins. Wilds that appear during the feature may increase your winning potential. Match 2 to get a 4x multiplier value. Match 3 to get a 6x multiplier value. Match 4 to get a 10x multiplier value. Match 5 to get a 20x multiplier value. Match 6 to get a 60x multiplier value. Match 7 to get a 100x multiplier value. Match 8 to get a 1,000x multiplier value.